We’re two weeks into 2017. Have you already broken one of your New Year’s resolutions regarding your creative life? If so, you’re in good company as studies show that at least one third of people break their resolutions within the first week of making them. And, almost half of all people who make resolutions break them within a month. Most of us don’t reach our creative goals without structure and accountability. Doors are almost closed on my signature ‘Tone Your Creative Core™’ Program. On Sunday, January 15th, I will host a LIVE group coaching call. I’ll be talking about what needs to be in your creativity start-up kit to set you up for success in 2017. I’ll do a powerful visioning exercise and share a few ways to “hack your brain” for increased creativity. The majority of the call will be me answering YOUR questions. Have questions about publishing, finding motivation, getting past the inner critic? ASK THEM and get helpful answers. I want to support you in dreaming about what you want to accomplish in 2017 and to planning how you will do it. Check out the details here. A small investment with a big payoff. I’m doing ‘pop-up’ coaching at 6:30 (EST) tonight on Facebook Live. Ask me ANYTHING about writing, making time for a creative life, and how to beat those pesky inner critics, etc. I’ll also share some tips about how to get your creative projects going full blast through the end of the year. Come to my Facebook Page (Michele T Berger) at 6:30. I’d love to support you in meeting your creative goals. Feeling worthy is a learned behavior. How lucky are we that we have another year to explore our creative passions and dreams. Last month, I got the nub of a terrific idea from meeting the writer James Maxey. He is using the energy of 2016, being a leap year, to spur him on to write every day and aim for 366,000 words by the end of the year. Intense, I know! I loved the idea of attempting something inspiring, mind-stretching and ambitious for my creative life in 2016. I thought about what I need in my creative life and what other creative folk might need. I asked myself the question: What could I share with you on a daily basis that would support a positive mindset as we approach our creative work? I was lucky enough to meet renowned visual artist, Beverly McIver at a professional development conference. She talked at length about how important it is that creative people do the inner emotional work to support the (often) long path to professional success. Anxious and unhelpful self-talk and inner critics often stop us before we can even get to our projects. What I need as a writer is lots of practice in self-kindness, plain and simple. I have technique, craft, discipline and perseverance in spades. Many creative people struggle with simply being self-accepting. As you know, we can think the meanest things about ourselves. So, my commitment to you and myself is to post an original affirmation every day through the end of the year. It’s a fun and daunting goal! Some affirmations will focus generally on creativity, but many will focus on writing. I imagine some will be serious and others will be a bit more whimsical. They will usually arrive without commentary, but occasionally I may offer some additional thoughts. I encourage you to use the affirmation as you see fit. You can say it to yourself several times a day, write it down or adapt the words to your liking. Periodically, I’ll be writing about the different ways creative people use affirmations and the current research on the use of affirmations. My greatest hope is that the affirmations I write will be there when you need them most. And, that they will embody a tone and energy that can carry you past the sometimes insistent, unhelpful and inaccurate voices in our heads. Affirmation #1- The more creative work I release into the world, the happier I am. How do you design a life and work that really work? How often do you throw up your hands in frustration about the way one facet of your life is going? 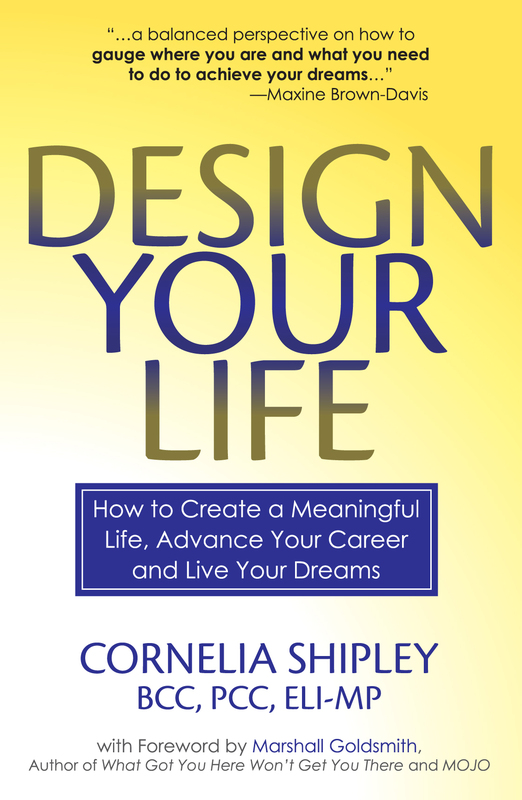 Cornelia Shipley, a master coach, has spent much of the last decade refining her transformative approach using her ‘Design Your Life’ process to explore the hidden reasons why people don’t experience the level of satisfaction, fulfillment, and freedom they want in their life. Her new book Design Your Life: How to Create a Meaningful Life, Advance Your Career and Live Your Dreams grew out of a painful moment in Cornelia’s life. She used that moment, however, to develop a framework that helps people to develop their vision, create ‘say yes’ standards, understand the power of a personal brand, and create a ‘money mindset’ to empower them to reach for their dreams. I met Cornelia many years ago when I was doing holistic financial coaching and she was transitioning from the corporate world to that of an entrepreneur. She had already built a successful consulting practice and my work was to support the incredible vision she held for her business. From my first conversation with Cornelia, I was inspired by her energy, passion and dedication to helping people bust through self-defeating blocks. Cornelia Shipley PCC, BCC, ELI-MP, is Founder and President of 3C Consulting, a leadership development firm specializing in Executive Coaching and Strategic Planning. A member of the coaching faculty at the University of Wisconsin Professional Life Coach Certification Program and the GPSS Coaching Model, Cornelia works with organizational leaders. Cornelia is a sought-after speaker and coach. 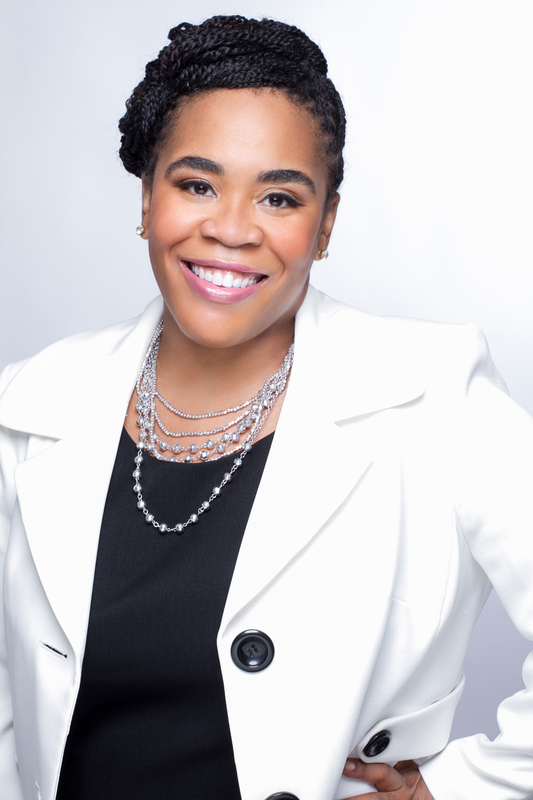 She leads strategic planning workshops for senior leaders across the US, is creator of the annual women’s leadership conference ‘Design Your Life’ and serves as a board member for Women for Coaching Community Change. Cornelia has a strong passion for systems theory, which she uses in her Leadership Boot camp and Executive Impact programs. Cornelia was recently featured on my tele-summit ‘The Creativity Bonfire Series: Sustaining Your Flame: Secrets from Wildly Inspired Creators’ where she captivated audiences with snippets from her new book Design Your Life. She made me eager to learn more. I’m delighted to welcome Cornelia Shipley to the ‘Practice of Creativity’. Tell us about your new book Design Your Life: How to Create a Meaningful Life, Advance Your Career and Live Your Dreams. What sparked your interest in writing this book? The concept for the book came to me while I was living in Melbourne, Victoria in Australia. I was so amazed at how present people were in their own lives and their ability to leave the expectations of others behind and simply live life on their terms. When I got back to the United States the cultural contrast was so clear to me. Over the next almost 9 years I would start and stop writing the book. Just before my wedding in 2012 I committed to begin work on the manuscript when we returned from our honeymoon. Little did I know how much my life would change in the span of a week. I went from being single to married and planning the funeral of my mother who passed away unexpectedly only 5 short days after our wedding. Over the three weeks we spent planning for her services I became acutely aware of the HUGE benefits I was experiencing because of the choice I made in 2006 to live a designed life. In the face of the tragic loss, I was well supported and able to meet the needs of those around me. I felt called to finally put pen to paper and share the process I was using so successfully with the world. No longer could I sit by and watch as people lived unfulfilled, frustrating lives. So I got busy writing, rewriting and in April of this year began the pre-launch of the book which became available TODAY worldwide on Amazon! You advocate for people to break out of their conditioned ‘shoulds’, in order, to experience an extraordinary life. What are some of the features of the ‘design your life’ system that helps people pursue their dreams? Wow, what a great question Michele. I am going to stay with the “shoulds” of your question as it is so critical to remove the “shoulds” from your life – the external expectations and noise of others. In so many cases we are living based on what someone else said we SHOULD want, do, be or have. So we start by looking at the stories of our lives to discover what desires we have that are ours and which ones have been imposed on others. Readers are invited to clarify their values, operating principles and standards. From there we being the process of creating a personal brand that speaks for you and supports you in achieving your personal goals and objectives. We spend some time with your personal definition of success, creating a reward system and finally expanding your mindset to embrace the big vision you have for your life. It has been interesting watching readers’ response to the book. So many have started the book thinking it will be a “quick read” and find themselves STOPPED by the provocative questions in the designed action section in each chapter. What was the most difficult chapter to write (and why)? OK, Michele so the truth is the hardest part for me was the final review of the last chapter. I kept putting it off. I am sure you have had that happen when you are so close to the finish line and for some reason you just can’t make it those last 10 yards. I would read a page and take a 2 hour break and it went on like this for almost a week until I realized that I didn’t want to finish writing the book because my mother was not here for me to call to share in the accomplishment. When I realized what was holding me back, I spent some time crying, called a good friend, finished the final edit and then met my friend to celebrate. I followed my own process to get unstuck. I allowed the truth to surface (me missing Mom) sat in the truth (cried and talked with my friend) made the choice to complete what I started (finished the edit) and went to celebrate (met my friend for some good food and great laughs). What’s the most surprising thing to you thus far about being a published author? There have been two things that have surprised me, the enhanced credibility I have as a professional and the almost immediate “celebrity” status I get in some circles having written a book. I think the best thing about being the author of this particular work is hearing the positive impact that the stories and the process is having on people’s lives. I am amazed at the bold action and outstanding results people are getting from doing their work and committing to create a future that excites them. This book was written over a number of years. How did you keep yourself motivated to finish it? For several years I did absolutely nothing. I knew that when I returned from my honeymoon I would have an amazing story to tell about finding love, and living my definition of success. I think ultimately my commitment to finish the book going into my marriage and my mother passing so quickly after my wedding created the perfect storm and final push. Although, at one point when I got stuck I simply booked my first signing which gave me all the final motivation I needed to get the book finished. I never pictured myself as an author, so for me it was important to follow my process and to get help from a seasoned writer and editor to help me think through the layout of the book, make sure the process was clear to readers who would be new to the material and ensure the overall tone and flow was what I wanted. Bottom line as a writer you have to be willing to follow your unique creative process without judgment. Cornelia Shipley holds an MBA in Management Consulting and Strategy from Southern Methodist University, a BA in Communication from the University of Michigan, is a Board Certified Coach and Master Practitioner of Energy Leadership (IPEC). To find out more about Cornelia’s ‘Design Your Life’ system and the book, visit her website. To find out more about Cornelia, click here.